Welcome, All! We are Hampton House Jewelry and Rock Shop, the premier fine jewelry and rock cutting shop of the greater East Texas region, located in the beautiful downtown Sulphur Springs. In 2018, we were voted the #1 Jewelry Store in Hopkins County and our resident jeweler, Angela, was voted the #1 Jeweler. We are both humbled and honored to have earned such a vote of confidence from our clients. After 25 years in business, we know a thing or two about great customer service and spectacular jewelry. If you have a piece you are dreaming about, trust your vision to Angela, our in-house expert on jewelry. She can handle just about any custom design or repair you can imagine, and complete your design in a matter of weeks. If you are not sure what you want, simply schedule an appointment with Angela! She will take the time to get to know you and your design tastes, so you can plan a treasure all your own to fall in love with. In addition to custom jewelry design, Hampton House Jewelry also offers a full watch service. Our Rolex certified horologist will take care of any needs you may have for your fine watches and timepieces. Our resident clock doctor, Wes, also provides in-house, full-service clock cleaning, repair, and restoration for grandfather, grandmother and antique clocks. We even make house calls! Just send us a message or give us a call, and we will be glad to schedule an appointment to come out and visit with you about your clock. If you are ever in the area, stop by the shop at 305 Main Street in Sulphur Springs, Texas and you will be in for a treat! We carry an impressive line of gorgeous and unique estate, vintage, and pre-owned jewelry for your selection. We would be delighted to guide you to the perfect piece of jewelry for your needs, at a price that is friendly and fair. We also offer consignment for those customers looking to sell their own pieces of jewelry! 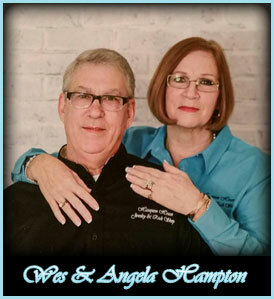 Visit Hampton House Jewelry for yourself and see what 25 years of great service looks like! We promise you will not be disappointed. Hampton House Jewelry is here to serve our clients with integrity, honor, and trust. We value and treat our client’s treasures as if they were our very own. Whether we are repairing, restoring or creating a custom piece we promise to do our work with excellence.